Brazil and Argentina are, respectively, the largest and second largest countries in South America. Both countries are known for their diverse and remarkable cultures. Brazil is notable for being the only non-Spanish-speaking country in South America, as the majority of the population speaks Portuguese. The most well-known cities of both countries are also among the most engaging cities in the world. Rio de Janeiro, the second largest city in Brazil, is a bustling, teeming metropolis that is truly one of the most exciting places in the world, while Buenos Aires offers travellers the chance to enjoy that city’s elegant atmosphere. Buenos Aires, the largest city in Argentina and the second-largest in South America, is justifiably known as the Paris of the Americas. Argentina’s Buenos Aires is a charming picture of elegance, with superb shopping and dining options at affordable prices. The city’s Spanish charm and cultural sophistication can be seen at every corner, with remarkable architecture and history for travellers to experience. When visiting both Argentina and Brazil, it is essential to experience the wondrous Iguazú waterfalls – all 275 of them. The natural wonders at the falls are truly astonishing examples of natural beauty, and form a good contrast to the distinct experiences in Buenos Aires and in Rio de Janeiro. 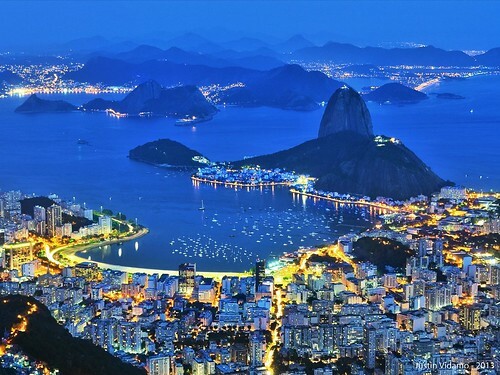 Rio de Janeiro is known around the world for its pulsing vibrancy, for the distinctive dance of the samba and for its remarkable beaches, including the Copacabana and the Ipanema. Taking the famous cable car at Sugar Loaf Mountain, high above Rio, and witnessing spectacular views of one of the world’s most exciting cities is a highly memorable experience. Buenos Aires and Rio de Janeiro cannot possibly capture the entirety of South America’s culture, but these cities do offer travellers the chance to encounter two of the world’s most remarkable urban areas. Immersing oneself in the cultures of Buenos Aires and Rio de Janeiro will give one a new appreciation for, and understanding of, the diversity and beauty of South America. An escorted holiday offered by Newmarket Holidays is an excellent way to get the most out of a once-in-a-lifetime South American experience. By taking an escorted holiday, one can enjoy a comfortable experience, well-planned and expertly organised, which will take one to see the major highlights of Argentina and Brazil. Italy has a great deal to offer to visitors. Not only is Italian culture, wine and cuisine widely noted around the world for its influence and for its quality, but Italy also offers visitors astonishing scenery and an incredible diversity. One may explore everything from the country’s bustling cities to its charming, quaint villages. A tour of natural wonders one day may be followed by a visit to the wondrous urban architecture of Venice the next. Venice is truly one of the world’s most beautiful and most unique cities. It genuinely has a character all its own, with gondolas, bridges and water taxis on the Grand Canal, and astonishing historical architecture. The famous St. Mark’s Square is another of Venice’s highlights. Not too far away is the beautiful and charming city of Verona, where travellers can encounter one of the best Roman amphitheatres anywhere in addition to the charm of the Piazza Bra, where the city’s denizens gather to enjoy drinking coffee and gazing at the world as it goes by. Verona is also notable for being the inspiration for Shakespeare’s ‘Romeo and Juliet.’ . After visiting Verona and taking in the distinctive Italian way of life, one can witness some of the continent’s most sublime scenery in the Dolomites. Of course, the country’s capital Rome, along with the sovereign enclave of Vatican City, offers a plethora of historical sights for travellers to enjoy. Further, the city embodies Italian charm, featuring many piazzas and fountains and reflecting the Italian way of life. Rome was for a very long time the political and cultural centre of the Western world, and travellers will quickly come to understand why. The Renaissance city of Florence is another important city in Italy, and also offers an abundance of pleasures for visitors. Travellers to Florence, especially those interested in architecture, will find a remarkable city waiting to be discovered, a city with one of the world’s most beautiful and historically important skylines. Newmarket Holidays offers a variety of escorted holidays to Italy, covering many of its highlights in various regions of the country. An escorted holiday will help one get the most out of a visit to Italy. Italy can offer visitors everything from peaceful yet vibrant villages to a distinctive taste of ‘la dolce vita’, in addition to gorgeous scenery. Portugal is the farthest west of all the countries in continental Europe, which means that it has many miles of beautiful Atlantic coastline. As the location was historically strategically important, Portugal has seen many cultures reside in and influence the land that is currently Portugal. As a result, the country has developed not only an exceptional and unique culture of its own but is also home to remarkable cultural and architectural landmarks. Portugal’s fascinating history and exciting culture make it an enthralling spot for travellers to explore. Many areas of the country’s cities and resorts exude elegance and sophistication, while other areas provide exceptionally beautiful natural sights. The country is also known for being one of the top countries in the world with respect to its number of UNESCO World Heritage Sites. The Portuguese capital city of Lisbon distills Portugal’s enthralling blend of the past and the present, the historic and the modern, into one of Europe’s most fascinating urban centres. Lisbon stands on the famous River Tagus, the launching point for many of the world’s most famous explorers, the place from where these explorers set off to discover the New World. Lisbon is no doubt one of the most popular spots for tourists visiting Portugal, but it is important to note that the country has a great deal of other interesting areas. Estoril, for example, is an elegant resort featuring the largest casino in Europe as well as a beautiful seafront with many cafes and bistros. Estoril, which overlooks the Atlantic Ocean, is a popular base for holidays for good reason, offering an ideal mix of bustle and opportunities for relaxation. The province of Alentejo is another remarkable area of Portugal well worth visiting. The famous UNESCO-listed city of Evora is at the heart of the province, which is also filled with olive farms and wineries. Beautiful remnants of the Renaissance abound in Alentejo. Nearby, many ancient sites of historical and architectural interest invite explorers and travellers to learn about them. Portugal can offer, with the right planning and organisation, some of the best holidays one can experience. It is an enchanting country, known as much for its history and culture as for its high quality of life, beautiful resorts, and thrilling urban areas. 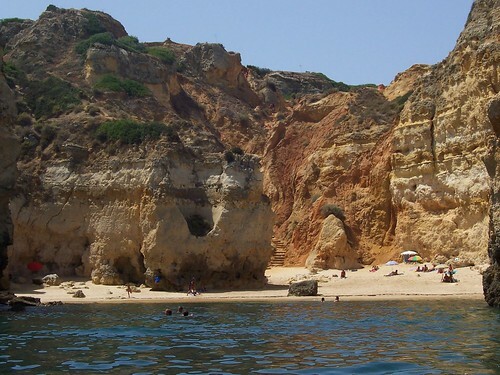 Newmarket Holidays offers escorted holidays to Portugal, enabling travellers to experience Portugal in all its splendour with the added benefit of the services of a tour manager. The Spanish autonomous community of Andalusia is one of the most historic and fascinating areas of a country rich in diverse culture and important historical sites. As the most highly populated of the autonomous communities, Andalusia offers travellers the chance to encounter a variety of fascinating urban centres, many of which have histories that stretch back centuries. Most well-known out of these urban centres are the cities of Seville, which is the capital, and the city of Granada. This region of Spain is well-known for the Moorish Islamic and Arabic influences from centuries ago, but Romani, Iberian, Phoenician, Greek, Roman and Byzantine influences also abound. Although the region has seen many cultural influences over the centuries, it currently has one of the strongest cultural identities among Spanish autonomous communities and is well-known for its rich cultural presence. Indeed, much of what is known as distinctively Spanish outside the country is distinctively Andalusian, with bullfighting, flamenco and certain architectural styles all stemming from this region. One of the region’s most astonishing sights is the Alhambra Palace, which dates back to the Moorish and Islamic period in Andalusia. Antequera is a popular base for holidays to the area, as it features all the hallmarks of a traditional market town of the region, as well as a museum that is well worth visiting and a classic Moorish castle. Nearby, ancient Dolmen caves are among the attractions for travellers. Seville is one of Europe’s and Spain’s most remarkable cities, with many centuries of history inspiring such works as Mozart’s ‘The Marriage of Figaro’ and Bizet’s ‘Carmen.’ The city’s Cathedral is among the largest Christian Gothic structures. Other attractions for travellers to Seville include the ancient bullring – the Plaza de Toros – and the beautiful Plaza de Espana. While Seville is the current capital, Granada is the historic capital. Other than its most famous structure the Alhambra, there are numerous historic sites for travellers to explore while in Granada. Other places worth exploring in the region include Cordoba and Ronda, the latter of which features a famous, historic bullring and is situated above a well-known and stunning gorge. The ideal way to explore Andalusia is by means of an escorted holiday. Newmarket Holidays offers travellers escorted holidays to the autonomous Spanish community of Andalusia, covering many of the highlights mentioned above. The valuable services of a Newmarket Holidays tour manager are among the reasons one should choose an escorted holiday. The Mediterranean island of Cyprus is a member of the European Union and one of the region’s hotspots for travellers. This fact is hardly surprising when considering the remarkable natural beauty and fascinating history of the island, which is surrounded by countries and cultures like those of Greece, Turkey, Lebanon, Egypt and Israel. The history of the island is truly ancient, with the first human activity there known to have occurred around the 10th millennium B.C. There are even remains on Cyprus from that long ago, including Khirokitia, a surprisingly well-preserved Neolithic village. Because the island has a strategically important geographic position, it has been controlled by various great and powerful cultures that include the Greeks, Assyrians, Ancient Egyptians and Persians. Other groups who have controlled and influenced the island’s culture include the Byzantines and the Romans as well as the Venetians and Ottomans. Most recently and before gaining independence in 1960, Cyprus was under British administration for over 80 years. Cyprus is now an advanced country with a high-income economy. As such, it is a safe and welcoming destination for travellers who wish to explore the history and culture of this island where Aphrodite rose from the waves and where St. Paul was shipwrecked. The resort of Paphos in Cyprus’ southwest is one of the better places on the island to use as a holiday base. It is a resort with many historical sites of its own, evidencing its past as a Roman and Ancient Greek capital of Cyprus. Travellers can enjoy the harbour front and courtyards and the many restaurants and bars that can be found there. Not far inland travellers can see Ano Pafos, which features a historic Turkish Quarter. Excursions from Paphos, if one does not want to simply rest and relax, include trips to Nicosia, the island’s famous divided city, as well as the Tomb of the Kings in Paphos itself. Trips to Northern Cyprus and mountain regions are also recommended. An escorted holiday to Cyprus can be one of the best ways to discover this beautiful island nation. Newmarket Holidays offers escorted holidays to Cyprus with genuine value for money. Travellers can enjoy comfortable accommodation while being sure of the services of a professional Tour Manager to help thembetter understand the island, its culture and its history. Newmarket Holidays understands that many of its customers like to experience a multitude of different places and sights during their holiday, without the need for tiring and excessive travelling. It is with this in mind, that the company offers its customers the opportunity to experience the enjoyment of a cruise. Cruises are becoming an increasingly popular option for those that like to travel in comfort, with the benefit of on board hotel-style accommodation. Newmarket Holidays offers its customers just this. While cruising between different places, their customers can enjoy luxurious surroundings, can relax in their rooms or in one of the many restaurants and bars on board, or simply stroll around the ship, taking in new places and meeting fellow passengers. Operating from a variety of ports around the United Kingdom, Newmarket Holidays’ cruises give customers a large number of options and destinations to choose from – including the picturesque Scandinavia and a popular series of river cruises into Central Europe. At increasingly affordable prices, these cruises are becoming a favoured choice of many customers looking for variety, excitement and a touch of luxury. Newmarket Holidays is able to offer customers a whole host of different travel options in order to meet the needs of the individual. A good example is their Rhine River Cruise, on which customers can choose to travel out to the cruise vessel by coach, rail, ferry or air. Coach connections to cruises like this are also available from a number of ports around the United Kingdom, including Hull and Newcastle in the north, and to Dover in the south. These cruises are particularly popular for couples or groups that are celebrating a special occasion or event and want to experience something a little different. Newmarket Holidays understands the enjoyment gained from going to sleep at one location and waking up on a new morning somewhere totally different and diverse. The Newmarket Product Team have ensured that each cruise offers customers this variety, while at the same time not impacting on the relaxed nature of the cruise. For those customers wanting to experience somewhere further afield and for a longer duration, Newmarket Holidays offer the opportunity to join extended cruises to exotic locations such as Australia and South Africa, taking in magnificent destinations like Mauritius on the way. Newmarket Holidays is one of the leading independent tour operators in the United Kingdom and has many years’ worth of experience arranging visits to some of the most in-demand concerts across Europe. Customers can rest assured that their experience will be as enjoyable and relaxed as possible while travel and ticketing requirements will be smooth and efficient. Since its first organised coach trip to Paris in 1983, Newmarket Holidays has grown in experience and expertise, and is able to pass this onto customers via their team of highly skilled staff. Trips to live events, such as concerts, can be tricky to organise and arrange – particularly if the concert is in high demand or taking place far away from your home. Newmarket Holidays provides its customers with all of their travel, accommodation and tickets – ensuring that customers are free to relax and enjoy the occasion. Newmarket Holidays offers customers travel options that include coach, rail and air travel, as well as providing top-class accommodation if required. Some of the most popular performances on offer are from the likes of Cliff Richard, Andre Rieu, Daniel O’Donnell and the increasingly popular Michael Buble. Should customers also want to experience another country or destination, Newmarket Holidays also creates overseas concert packages so that fans can see their favourite stars perform in places such as Maastricht and Brussels. Concerts are becoming an extremely popular way of celebrating special events or occasions with close friends and family, but travel and ticket options for a large group can sometimes prove difficult. Newmarket Holidays understands this and offers customers the security and convenience of purchasing a complete travel and accommodation package for the event (dependent upon availability). It is therefore much easier to organise and arrange, and customers do not have the hassle and stress of trying to organise everything individually. The Newmarket Holidays Team is renowned for its organisational skills and efficient practice, and the team members take great pride in their reputation for exemplary customer service. They welcome feedback and comments from past and present customers, as a way to improve their service even more in the future. This has already been recognised in the form of five nominations at this year’s British Travel Awards. Newmarket Holidays is an independent tour operator with over 30 years’ worth of experience of arranging first-class escorted holidays for its customers. Starting out in 1983 with an escorted coach tour to Paris, Newmarket Holidays has grown significantly and now operates tours to a wide range of destinations and events worldwide. Due to its extensive experience in arranging holidays for millions of customers, Newmarket Holidays is able to offer customers superb customer service and great value for money. The company’s team of highly skilled and experienced staff is able to advise and assist customers with all of their holiday arrangements ensuring that customers have all the knowledge required to enjoy a remarkable experience. Newmarket Holidays is now offering organised tours to some of the world’s most vibrant and colourful destinations on its Faraway Places holidays. Newmarket Holidays provide escorted tours to South East Asia, New Zealand, India and South America. They are able to arrange all the travel arrangements for their customers, provide advice and assistance regarding itineraries, and at the same time make the whole holiday experience as relaxed and enjoyable as possible. Even on the holiday itself, customers can benefit from the continued help and assistance of one of Newmarket’s highly skilled and knowledgeable tour managers. The tour to South East Asia is particularly impressive, with visits to some of the most colourful and diverse countries in the world. Discovering places like Vietnam, Thailand and Cambodia is a real treat for customers as they visit old historic places, vibrant cities such as Bangkok and beautiful, picturesque places along the world renowned Mekong River. Organised tours to places such as Japan and China mix cultural heritage with cutting edge architecture and technology while a tour to Hong Kong is sure to excite those customers who enjoy browsing the shopping districts. All of the organised tours are carefully planned and constructed by the experienced staff at Newmarket Holidays so that customers get the most out of their holiday. Customers are able to travel comfortably to a variety of destinations during one single organised tour without the need for making their own travel and accommodation arrangements. Newmarket Holidays – Why Choose Newmarket Holidays? Established in 1983, Newmarket Holidays now finds itself as one of the leading independent tour operators in the United Kingdom. The success of the company is down to the excellent customer service that they offer, and to the exciting and extremely well thought out itineraries of the various holidays and breaks that they offer to customers. Every year, many customers are actually returning guests who have enjoyed past tours with Newmarket and have quickly returned to take advantage of the company’s customer-focused approach to their services. Two of the key components to the services offered by Newmarket are quality and value. The company takes great care organising tours around these two key components in the belief that its loyal band of customers deserve superb experiences and exciting adventures without having to spend vast amounts of money. Newmarket Holidays provides tours to suit all requirements and budgets. Whether it is a short break to a UK destination or a long-haul trip to one of the more exotic locations on offer, guests can rest assured that Newmarket Holidays has it all covered. Newmarket Holidays only uses reputable airlines and hotels so that their guests are able to relax, both during their journey and also when they arrive at each of their destinations. . The hotels have been chosen with comfort and location in mind so that customers can relax and enjoy their facilities and surroundings after a day of travel or sight-seeing. Each of the tours on offer has the dedicated service of a tour manager, who is there to assist and advise customers on all aspects of the tour and the associated destinations. Newmarket Holidays takes great care when selecting and training its tour managers, and places particular emphasis on local knowledge, communication and customer service skills. This has resulted in an excellent relationship being formed between the company and their customers. Newmarket Holidays offer departures from over 30 airports across the UK, ensuring that customers don’t need to make excessive journeys before their flights. This is of particular benefit to families and older couples. One of the most famous buildings in the world, the Taj Mahal attracts over 60,000 visitors every single day. Its magnificent architecture and historical relevance draw visitors from across the globe to witness this remarkable building. Situated in the town of Agra, the famous mausoleum was built by Emperor Shah Jahan as a tribute to his late wife. The design and elegance of the building is immense, and it is easy to see why it draws so many visitors to its marble walls. The building itself came into existence back in 1632, when initial construction began, but has evolved over the years into the magnificent white-marble building of today. The centrepiece of the Taj Mahal is undoubtedly the tomb area, and this is what attracts the most visitors who are keen to take photographs of the interior. Many tour operators, such as Newmarket Holidays bring large tour parties to the Taj Mahal and their guests can enjoy the benefit of a knowledgeable tour guide so that they can see everything that the Taj Mahal has to offer. The impressive dome is undoubtedly the most recognisable feature of the building, and visitors flock to take pictures and photographs stood in front of it. With so many visitors and so many things to see, it is easy to get lost in the crowd and miss some important features. Newmarket Holidays and other tour operators offer the chance for their customers to visit the building in an organised and efficient manner, and it is perhaps best to utilise the experience and expertise of one of these tour operators if intending to visit the Taj Mahal. The city of Agra, the location of the Taj Mahal, is equally busy and chaotic. Independent travellers can have many problems getting around the city and actually finding the correct location of the Taj Mahal. Traffic is continually extremely busy, and roads and transport links are not the greatest. Perhaps this is the reason why so many visitors choose organised tours with reputable operators, such as Newmarket Holidays. This ensures that visitors arrive in a relaxed state of mind, free of the stress of travel and admission problems. Visitors choosing to utilise a tour operator, such as Newmarket Holidays, are therefore better placed to fully appreciate this outstanding landmark.